Professor Langenhorst is an expert on technology integration strategies, leadership and best practices. 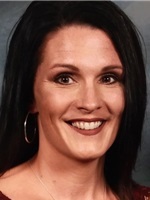 An adjunct college professor and K-12 technology integrationist and instructional coach in Rock Valley, Iowa, Langenhorst is a contributor for Mackin Educational Resources, edWeb.net and Education Talk Radio. She also was a lead writer for The Big Book of Technology, and writes a blog, "Tech from the Trenches".